"He Can't Walk, But I Can Carry Him." In my own trajectory of life, there has been nothing to compare with what my son with autism has taught me--again, I will say nothing. I have traversed some bumpy roads before (that's what happens when you get older), but I was not prepared for the nearly debilitating heartbreak I felt for many months after his diagnosis. Conversely, I did not anticipate the daily tutoring that our family would embark on by having a child/brother with autism. Enjoying a moment of laughter. How he loves his siblings! One therapist told me when he was very young that he had an incredible sense of humor. She said, "That is something you can not teach him in therapy. But he's got it. He is so funny!" There are days, or I should specifically say moments, when I feel his words and actions capture the purest sense of compassion and love that I have ever witnessed. Today was one of those days. They happen more frequently than I would have guessed or expected. Sometimes I am swept away with wonder and awe of his guileless heart. Elias is now 13, taller than me, and swimming in hormones. Being in 7th grade is demanding enough for any typical kid. But to pair autism and adolescence...well, it can be a tough mix. I need these happy, beautiful interludes when I hear the pulse of his heart. It makes any other difficult exchange or confusion of the day wash away. Elias: "Mom, I know I have autism. Why do I have autism? (no pause for an answer) But everyone has something. One grandpa doesn't have a toe, and my other grandpa was blind. Some people can't talk, but I can. I know people (and he names a few children we know who do not speak). Me: "Yes, you speak very well. We are very glad you can talk." (I remember when he was four--not knowing if he ever would talk, and now he never seems to pause for a breath). Elias: "You remember that boy who was in a wheelchair?" (I struggle to remember a boy I haven't seen in two/three years from our church who was confined to a wheelchair). Me: "Yes, I remember him now." Elias: "I can carry him, Mom. I am strong. He can't walk, but I can carry him. I could get him out, and carry him. I know I could. I am so strong." Me: "Yes, you are strong. He is so lucky to have a friend like you. What a good friend you are." Elias: "Did you have a good day, Mom? What did you do today?" Me: "Well, I played my cello and guitar, read...."
Elias: "Did you work out? You worked out, right? (with a worried look since he is in a healthy phase now). You had a good day?" Me: "Yes, sometimes I just like to be myself" (not mentioning that I really need this time so I have the energy when he bounces in after school). Elias: "I don't like to be myself. I just want to be with people. All the time. I love to be with people. I love people." There is still the occasional strenuous day, to be sure, but my initial darkness and fog lifted a long time ago. I have since learned to see this amazingly pure boy who is loving, funny, creative, and oh, so very kind. Yes, he does love people--everybody, anybody--no strings attached! While living in the Middle East, he gets to know people from every corner of this world, and he loves every single one. And you know what? They love him too! Lucky me. He is my son who mentors me more than I would ever known possible. This picture was taken immediately after Elias was born. Little did his siblings know, or any of us for that matter, that he would teach us all so much. We took him to Toronto, Canada when he was four to receive listening therapy with Paul Madaule who just wrote When Listening Becomes Alive. He said to me something I have always remembered: "From my observations of your kids, they will be his best therapists." His prediction became true. 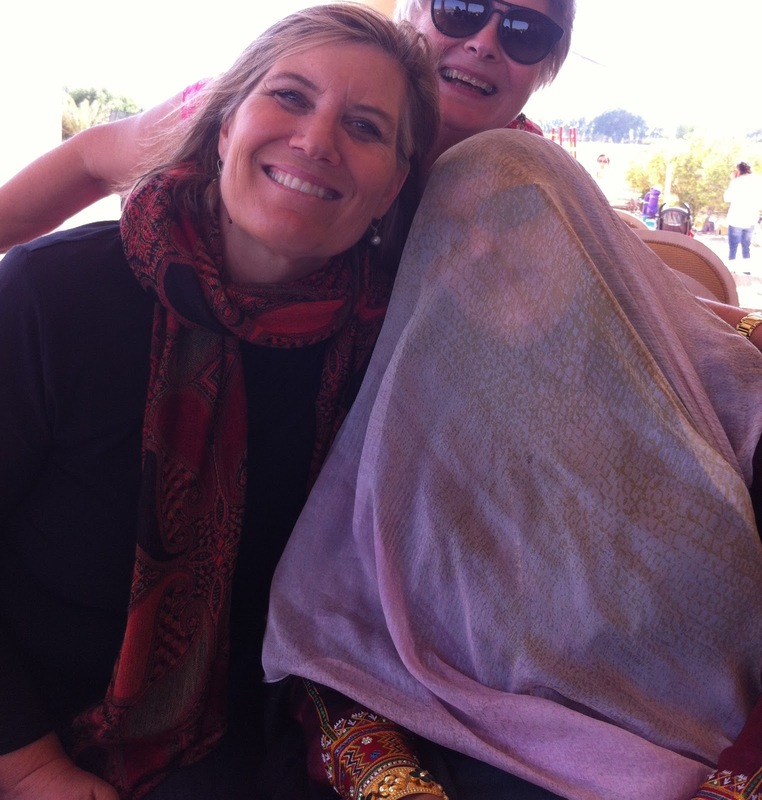 The woman in the scarf was a delight to meet--extremely vibrant, outgoing, and strong-minded. Don't let the scarf fool you that she is timid or withdrawn! The woman in the background was from Iceland, my own heritage. None of us knew one another ten minutes before this picture was taken. But friendships, sisterhood, and similarities were immediately discovered. The Qatari Women's Association invited about 100 women--all from many diverse nationalities--to a farm outside of Doha to talk about living the Bedouin, nomadic life decades ago here in Qatar. A bountiful, lavish lunch was provided. 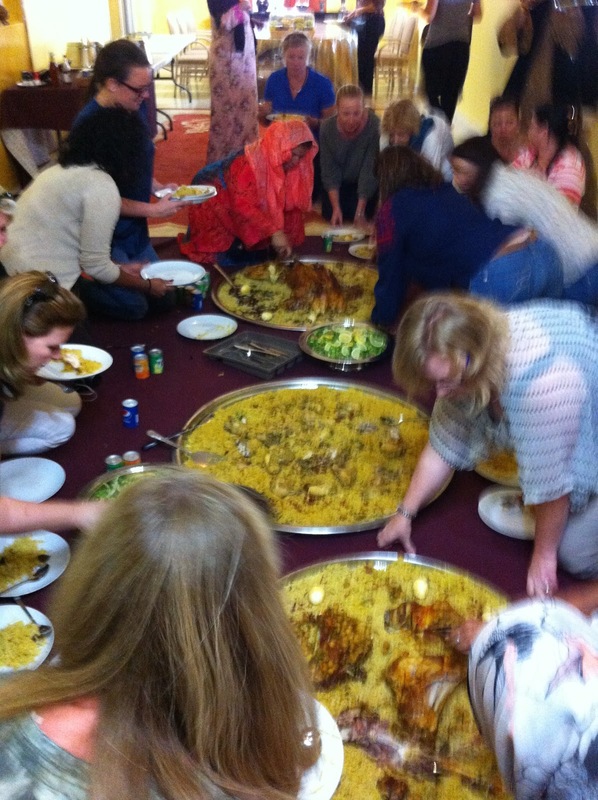 In typical Middle East style, they could have fed twice as many people. The concept of "hospitality to the stranger" that is taught in the Quran permeates every encounter and interaction here. As we gathered together on the floor around the meal, shoes and inhibitions were thrown off, as we entered the beautiful tiled home. Women from about 20 countries sat knee to knee, while they spoke of their varied experiences, travels, ideals. From one Egyptian woman, I was offered Arabic lessons, and another Middle East woman told me I would make a good Muslim because she said, "We really are so similar." 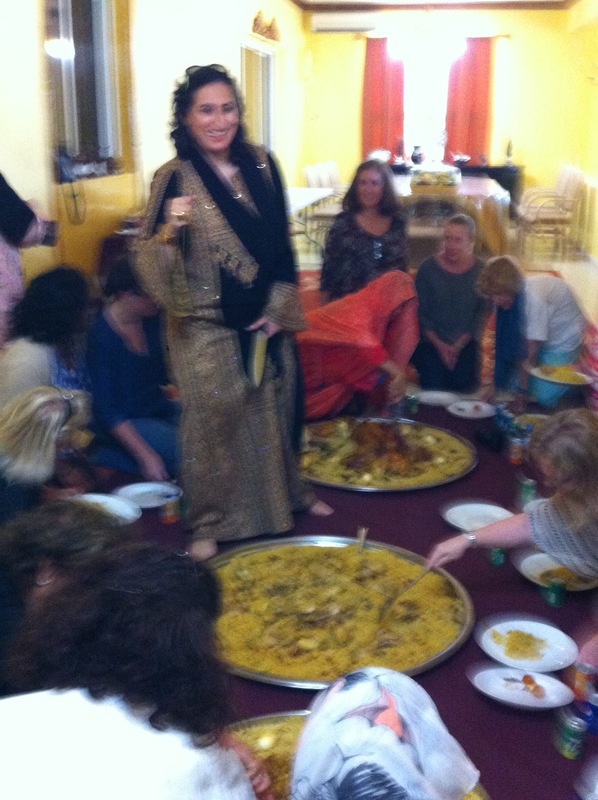 The host invited many of us to share our experiences and thoughts of her country. When we were finished with the meal, all the guests were given fresh eggs and cut herbs to take home. We were strengthened or fueled, not only with sumptuous food, but were instructed how to have a more boundless heart, a heart that can never have too many friends. One of the ways guests are shown hospitality is the abundance of food that is always served. Before this meal, we had already been fed many varieties of local pastries and fruit. Several older Bedouin women spoke on what it was like to live in Qatar when cars were thought of as "monsters" on the street. She said as children they would run away from them, frightened that it was an alien from another world. One said there was no sickness because people ate very simply, with lots of yogurt. No one ever saw a doctor. They shared the sparsity of what they possessed with one another. Families lived closer to one another, she said, and life was much simpler. To leave the bustle of the city was soothing, nourishing--like drinking water when you are quenched for thirst. But the farm visit was even more enhanced by meeting women from all over the world, and knowing that we are really all the same. We had birthed children, studied, buried loved ones, tried to find joy, and most of all, loved. Hopefully, we have all laughed a lot too through the journey. One Qatari woman told me, " We women must never divide our love; we need to multiply it, make more of it. We must not settle for only giving small amounts of love, but we need to learn to make our heart grow --especially in our family relationships." Wise counsel from a woman with six children and ten step-children! All homes and even tents in the Middle East have some designated area for guests, even strangers, to be entertained and given hospitality of spirit and replenishment--however meager or abundant. The three religions of the Middle East, Islamic, Christian, and Jewish, all are rooted in deserts places, where sojourners, and even foreigners were given precious nourishment and water. This is a picture of an majlas (a place where men generally gather), an area away from the home or even separate from the home to host visitors--both family, friends, and strangers alike. This room is located in an adjacent area in the same building, a place where people gather to drink and eat together. When a person shares a cup of tea or meal with someone, one is almost transitioned to becoming a family member. To entertain the stranger is to invite God or His angels to one's house. This main pillar of Quran is not only believed, but lived with a magnanimous generosity of spirit. I am constantly humbled by the kind acts and invitations I have been given in the few short months I have been here. This is the entrance to the farm. Believe me, a lush, verdant field is very rare here in Qatar. A picture, from the Art Gallery at the Souq (outdoor market) shows women on a farm sharing the work together. Lessons that I took home that day on the farm are shown in this painting: This painting, also from the art gallery in the Souq (outdoor market), with the featureless faces, reminds me that we really are all so similar--poor and rich, young and old, illiterate and educated, religious and secular. We all want to connect, have joy, and laugh heartily. We all deserve or need a little more light and love as we intersect in our lives. There is potentially profound purpose in the casual encounter. If we allow the boundaries and definitions to define us, there is so much beauty and learning to be lost. My first post in September, 2014 describes some of my own walls falling down in 'My New Neighborhood' when I first came here. I will always be grateful that a woman in a burqa (my next door neighbor) taught me how to thrust off fears and preconceived notions of who my friends could be. In order to get a driver's license in Qatar, you must pass medical, written, and two practical tests (in parking and driving)--plus a test about the parts of a car engine. Abier, who has endeared herself to me now forever, arranged for me in Arabic to have a driving test 2X before I actually took the formal driver's test. The director of the driver's school assured me, "You will do fine. You look like a driver." I am not sure what a driver "looks like," but I hoped my tester would agree. When I heard that I would receive my very own driver's license here, I felt about the same elation as when I finished my master's thesis--no joke! It can be difficult, even subjective, to obtain. 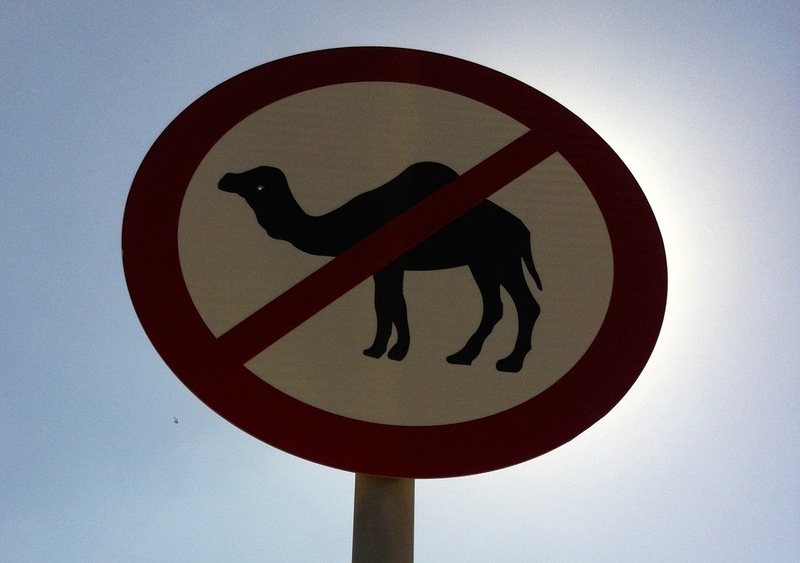 As a new driver in Qatar, you have to learn a whole new array of signs. The only difference from this picture is that often hundreds of cars are waiting to zig zag through the roundabout. No exaggeration! The inner lane has priority here, and many people just zoom in front of you--crossing over to another lane or spoke of the wheel to exit. Sometimes there are three lanes with bumper to bumper traffic, as all the cars converge into a two lane roundabout. Most of the time no one uses a signal or "indicators," as they are called in the UK. Each time I hit a rush hour roundabout, I take a deep, calming breath, and put my radar up in all directions. Everyone in the car suddenly becomes quiet; often times there is a nail-biting silence until we have safely passed through the serpentining roundabout. Cars are buzzing, honking, and squeezing around each other. I resolutely try to stay unruffled in the mayhem surrounding me. In busy traffic, police direct cars at each spoke in the wheel (I am sure it is one of the most dangerous jobs in Qatar). One must keep their wits, humor, and senses sharp to drive in this place--especially as a few cars give thunderous honks behind and/or at the side of you. Sometimes I feel like I am almost in a rodeo; it takes some grit and guts to get behind a wheel here. 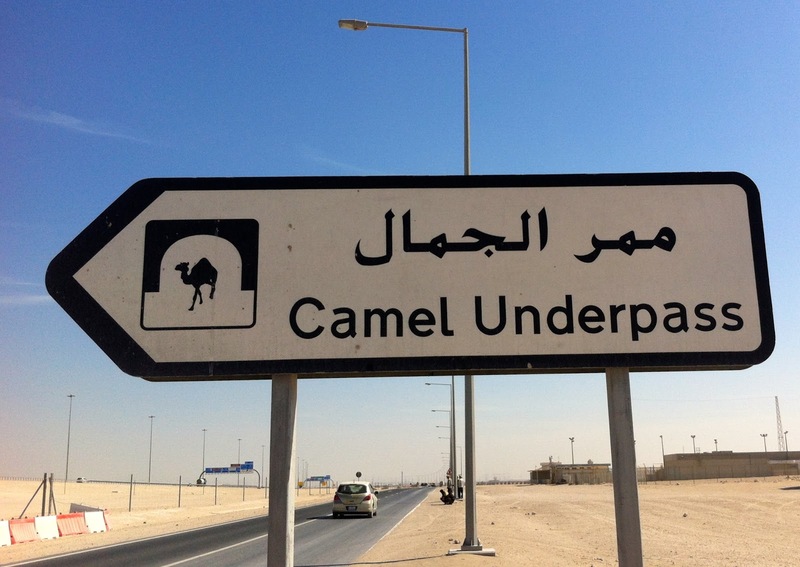 Every time I return to my compound, a sense of peaceful tranquility envelopes me--relief that I made it home!There are very few countries in the world that a driver can spot a sign to beware of camels crossing.... I chuckle to myself every time I see these camel signs. If I ever forget that I am on the other side of the world, these road signs immediately remind me. Ha! These signs are in front of the schools--reminding people to turn off their cars! Another favorite.... 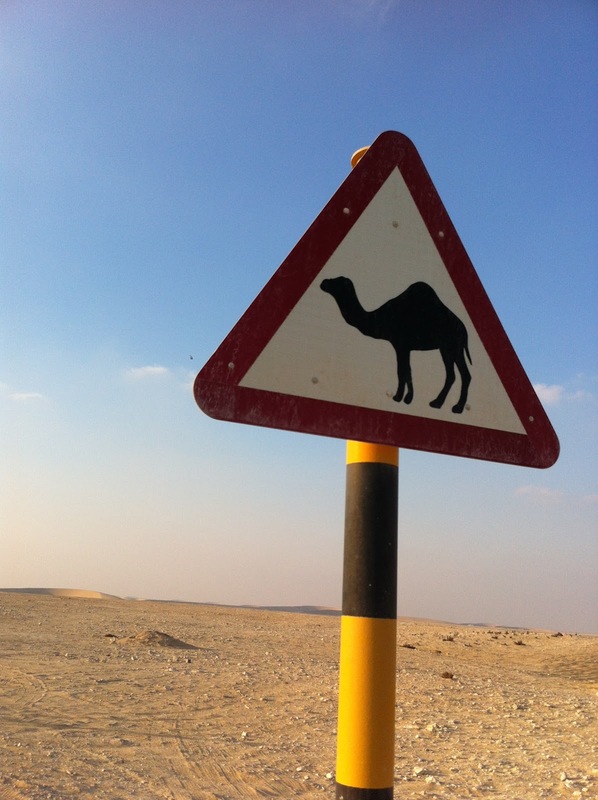 I call them "speed bumps", but here they are called "speed humps" in Qatar--maybe because of the abundance of camels? A favorite neighborhood--in the embassy section. You need to know where you are going when all the signs are in Arabic! 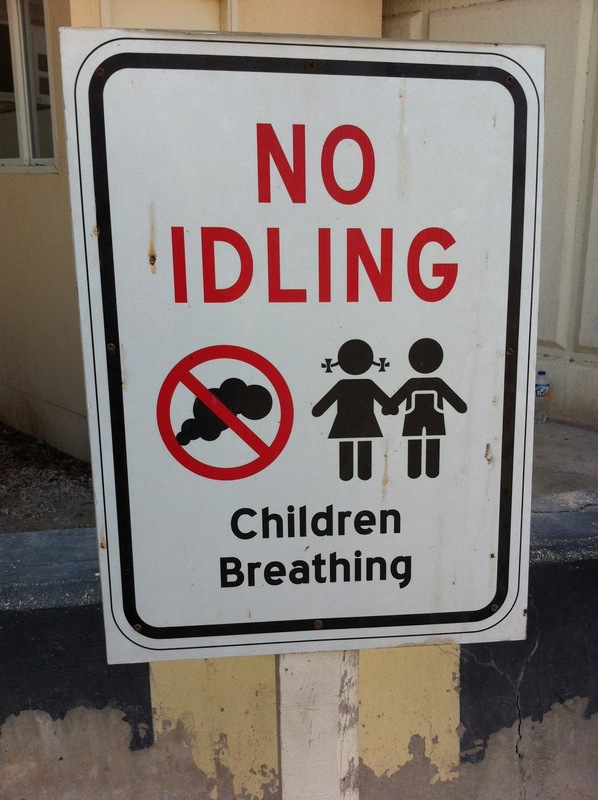 These are the signs to watch for pedestrians--showing the thobe (men's wear in Qatar). 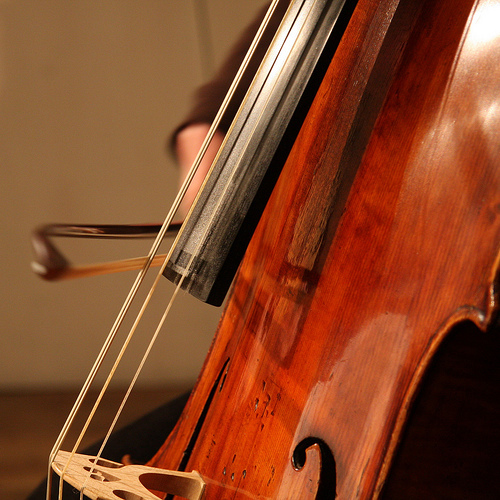 The cello, the embraceable cello, is known as being the instrument that sounds the most like a human voice. The deep richness of its base notes to the high ranges capture the soulful sound of a love story. When our friend who is a neurosurgeon heard three years ago that I was learning to play the cello, he pronounced, almost like a medical prescription, "Learning to play a musical instrument is amazing for your brain. What a great idea--all those dendrites linking up. Keep it up!" I appreciated his affirming assurance, but my aim was not necessarily to attach more neurons--even though, I am sure, I could profit from more neurons linked together. Put simply, while I was trying to help my son with autism learn to play the cello, I unintentionally fell in love with it's rich resonating sound. It was completely serendipitous to become smitten with this heavy and cumbersome (to carry) instrument, but suddenly, with no warning, I was entranced. There was no going back down the mountain. Falling in love with the cello has been a blessed accident, a tutoring journey every step of the way. When I finally get the tone, tempo, and technique right, this instrument fills my heart, mind, and soul every time. Many people automatically assume I have been playing for decades when they see me lugging around my cello or hear that I am now playing in an orchestra here in Doha, Qatar. I am a mediocre pianist, and play the guitar. 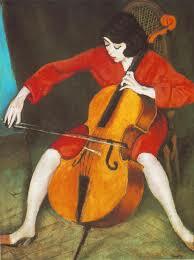 But there is an interesting story, I would even say a love story, behind the grit and determination to play the cello. People ask me often why I would attempt such a fantastic notion--to devote any extra hours of the week I can spare--to learn to bow and pluck this instrument. A few years ago E. was captivated by the cello as he listened to Handel's music on youtube in his free time. The music must have been soothing or comforting to him because he listened to it incessantly. For months, he pleaded to learn how to play the cello, and I would immediately suggest another instrument--or perhaps a different activity? But he was persistent, repeating several times a day (as children with autism or I might add, any child will) that he wanted to play the cello. Since I watched my older son learn to play the cello, I knew it was a very technical process to learn and would likely require more coordination and focus than he could manage. One afternoon I was at my dear friend's home, and she heard him beg for a cello (she has a daughter with Down's Syndrome so she understands about listening to children with disabilities). Luckily, she was intently listening to his pleas that day, and said to me, "Why don't you just let him try it? Who knows? Just give him the chance. And guess what? I have an extra cello in the basement. You can borrow it for awhile." In my heart, I knew she was right. Why not try it? Soon afterwards, I found a patient teacher who was willing to teach him. 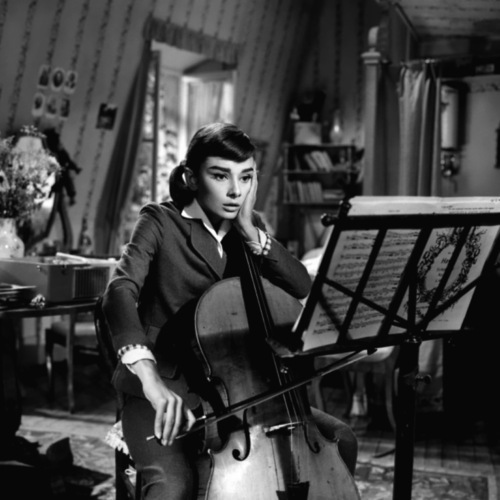 As I listened to him learn the cello and tried to help him, my own interest in the instrument piqued. My husband suggested,"Why don't you just take lessons along with him?" The dual lessons lasted a few months, but my son had a rough time, as I predicted (we soon thereafter found a patient piano teacher for him). I surprised even myself when I asked his teacher if I could continue with the lessons. I inherently knew that it would be hard and require much rigor, but my aim to make beautiful sounds outweighed any doubt or hesitancy. We worked together for about a year; I anticipated each lesson with great eagerness, as I plunged into learning how to play. When she moved away, I cried like a child because she gave me hope that I could really accomplish such a seemingly impossible feat. I found another teacher, this time from Bulgaria, who taught me more technique and precision. I love this picture of Audrey. Sometimes I have that same exasperated expression when I play too. As I learned to play a few Christmas songs that first year, my cheeks were wet with tears, my heart raced faster, and goose pimples appeared on me. A pure joy washed over me, and I knew I wanted to always have the joyful feeling of my heart, mind, and soul merging together as I played the cello. I ached to be able to play with others in an orchestra. It seemed like a far fetched goal, but I still secretly kept it tucked away in a hidden pocket. Sometimes I would (and still do) become a little discouraged with the process--trying to multi-task and concentrate on about eight techniques on the cello at one time. Needless to say, I am not necessarily a precise person, but I continue to play--resolute to capture beautiful music from the strings with precision and the correct rhythm. It is certainly not the end of the cello love story, but I successfully auditioned to be in an orchestra last fall when we moved to Qatar. It is a phenomenal group of musicians from all over the world, most of them trained in music conservatories. In the cello section alone, there are six of us, all from different countries. To be in this orchestra has not only fulfilled a mid-life dream for me, but it has softened my transition to live in a faraway place. I have a whole new set of friends from Yemen, Australia, France, the U.K, Columbia, the Netherlands, among other places, who play beautiful, stirring music with me. One highly accomplished cellist from Australia, when I revealed that I was a beginner cellist, turned around with a smile, and said, "There's room for everybody on this bus." His encouraging words enabled me to feel like I fit into this talented, amazing group of musicians--that I have a another home so distant from everything familiar and known. Often times I gaze over at my E., and remember it is him who gave this musical gift to me--to play this gorgeous instrument that nourishes and fills my soul. I hope that I can give him gifts that will foster joy and feed his soul too; it is one of my dearest dreams. In my quiet moments (and they are very few when he is around), I thank God for a son with autism who teaches me every day. I am trying to listen to his every timbre, tone, voice, rhythm, expression, sound in his heart--some of the exact same skills that I am learning when I play the cello. I just had to add this picture of an ice sculpture that was found on the streets during the recent Boston blizzards! 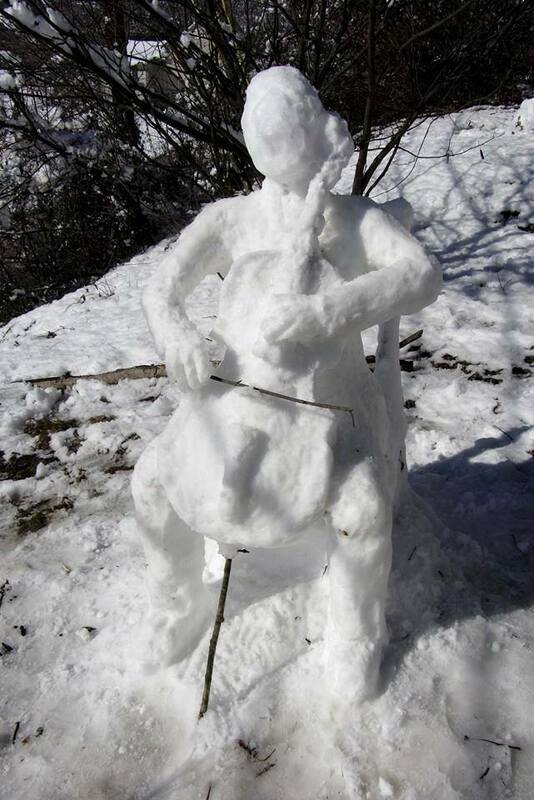 I am sure the sculptor has a love story with the cello too!